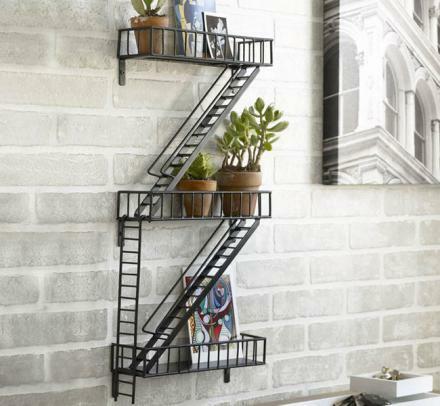 The fire escape wall shelf is a shelving unit that looks just like an urban fire escape and is perfect for spicing up your otherwise terrible decorated stinky living room. 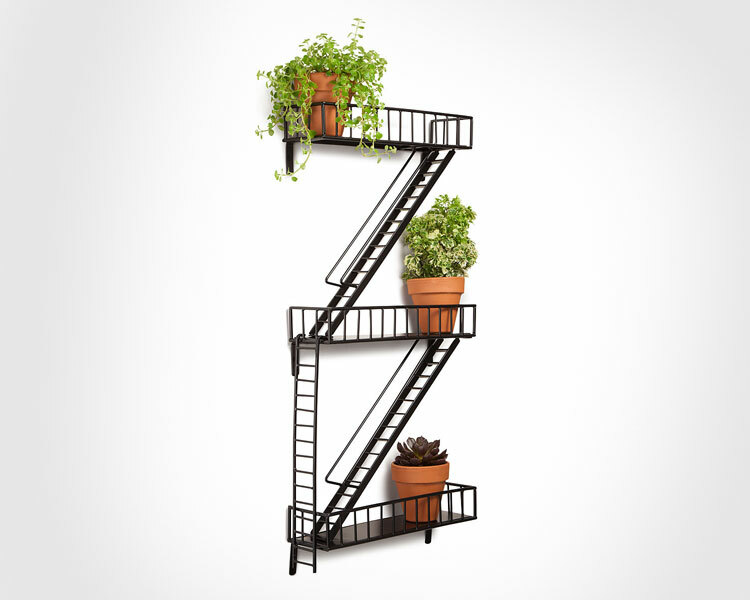 Breath some new life into your house by clogging up this fire escape with some plants, books, candles, art pieces or vases. 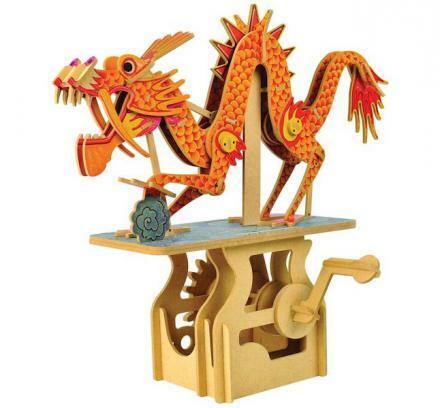 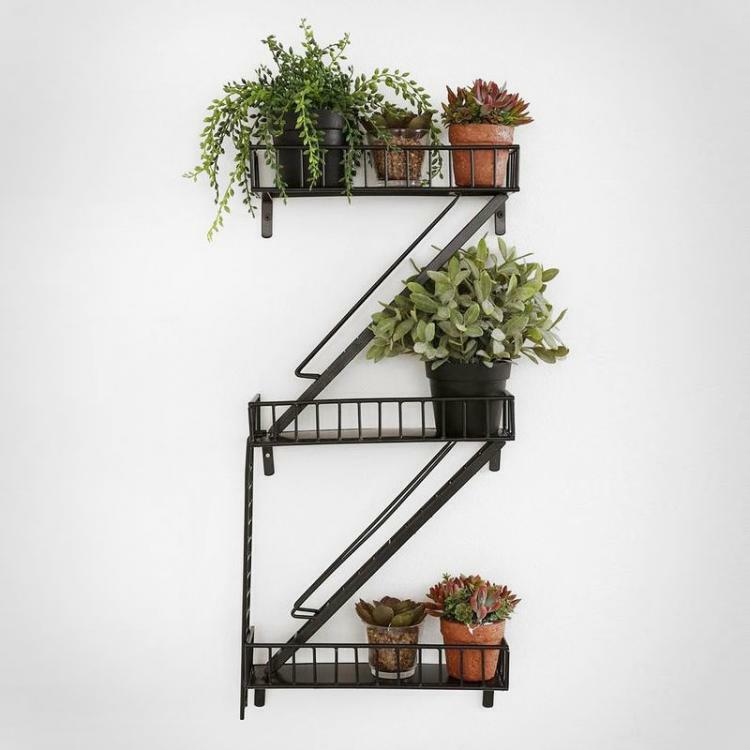 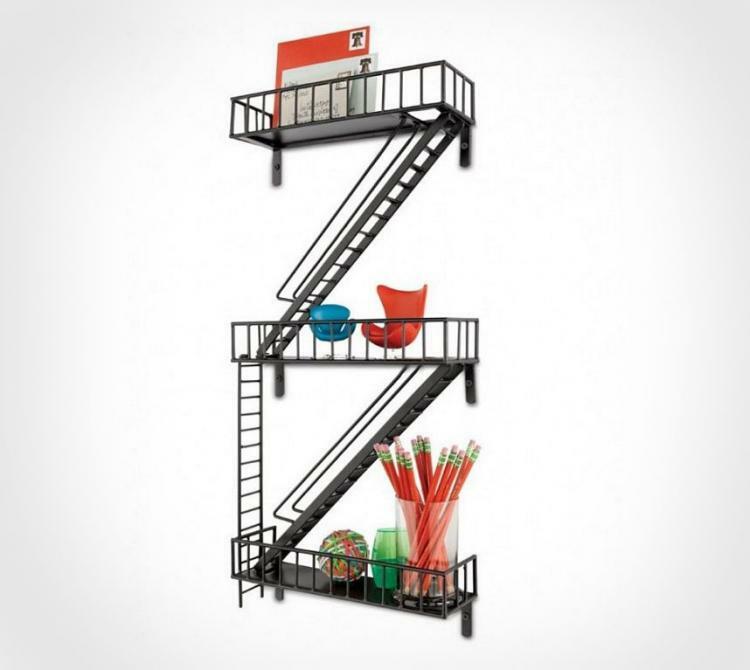 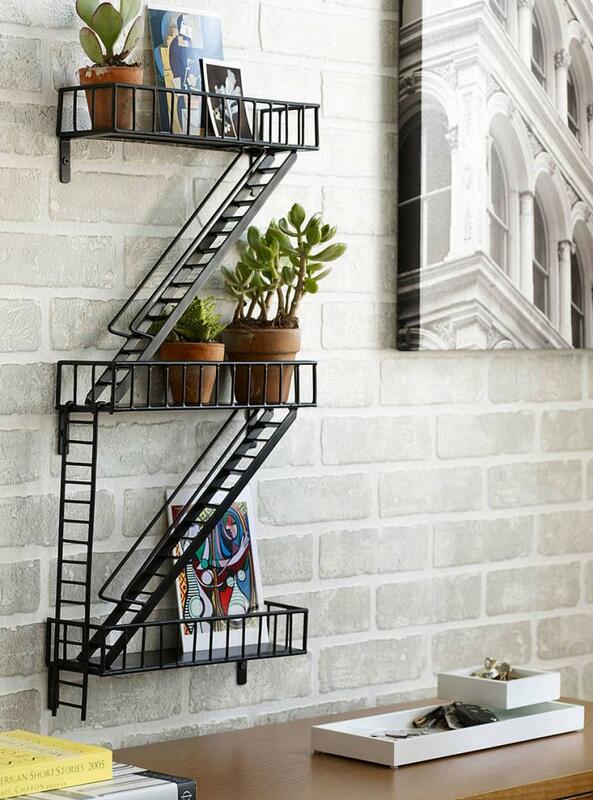 Great for giving your home a metropolitan or urban design, the fire escape wall shelving is made up of three levels with a ladder connecting each story along with an outside ladder that you can place on any of the three shelves. 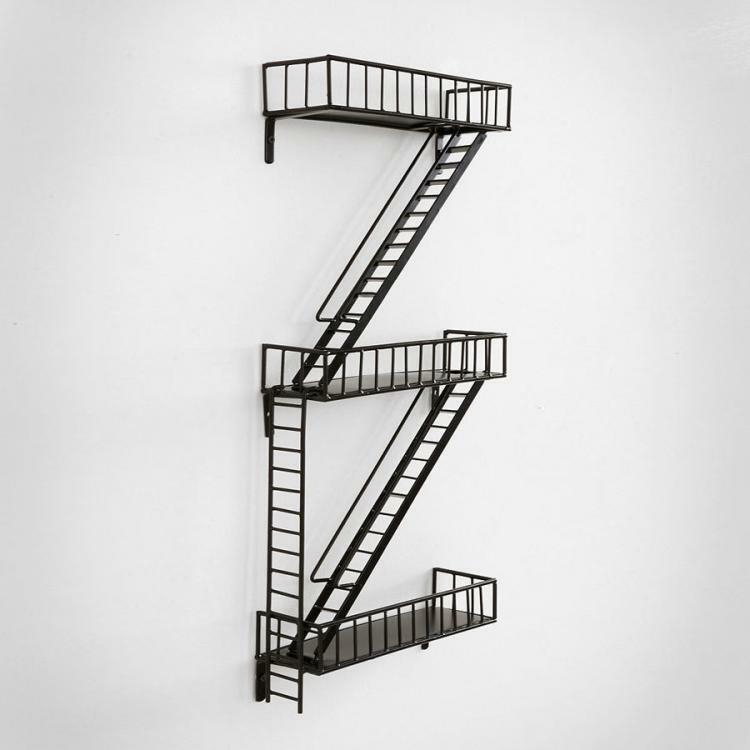 Made by Design Ideas, the Great Escape Urban Fire Escape Shelf is made from hand welded epoxy coated steel, has a max weight limit of 15 lbs, comes with hanging hardware and instructions, and measures 12 inches wide x 25.5 inches tall x 3.8 inches deep when fully assembled, with each shelf being 4 inches deep. 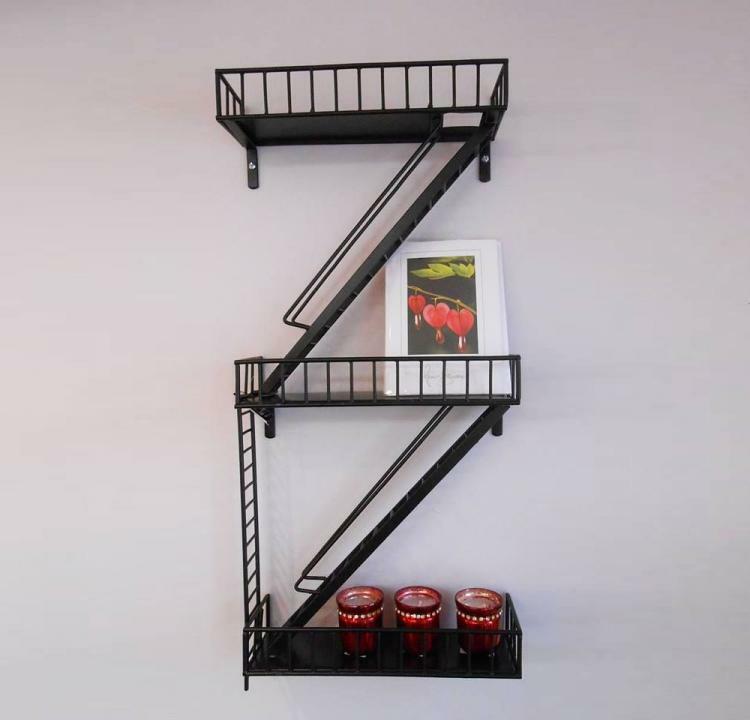 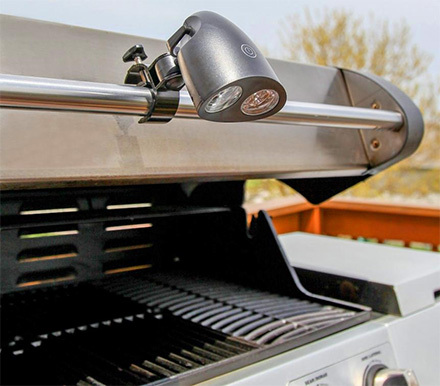 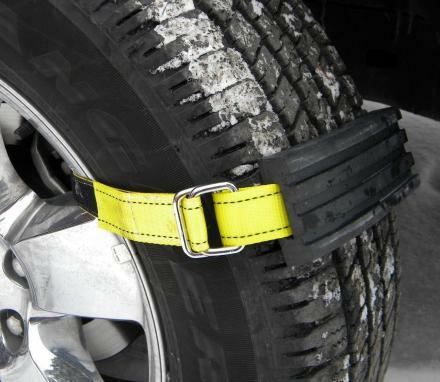 Check out the instructions for installing the fire escape shelf via the video below.